We didn’t think anything was going to live up to the playground right in front of our campsite at Coles Bay – but we were wrong. 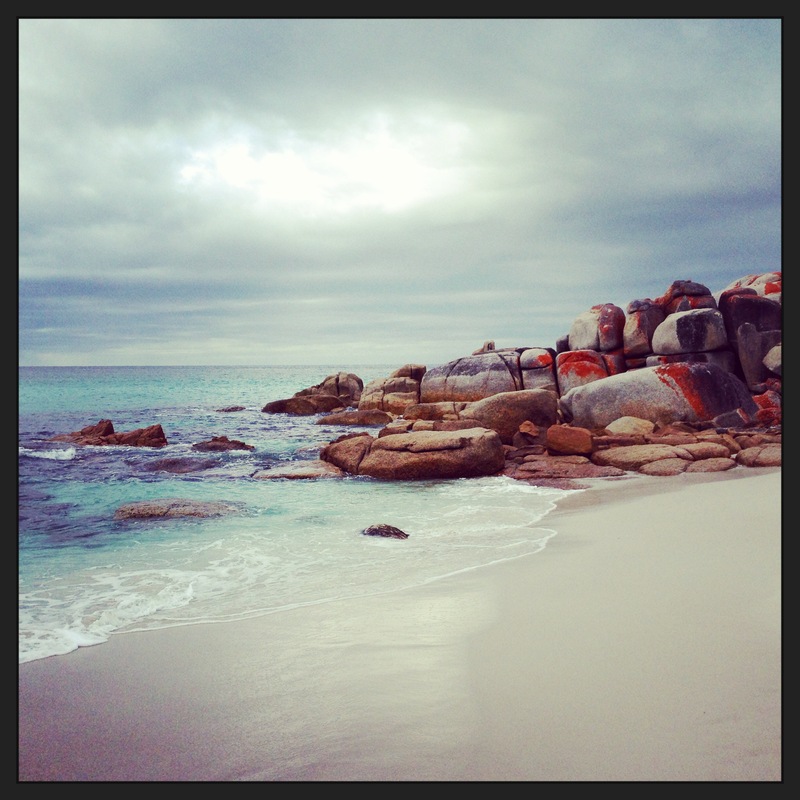 Moving into the Big 4 at St Helens, right on the edge of the Bay of Fires we discovered a jumping pillow (!!! ), a playground and games room that we could camp practically in front of. I may or may not have been seen jumping around on the pillow with the kids a few times – as always there is no photographic proof (I don’t think). 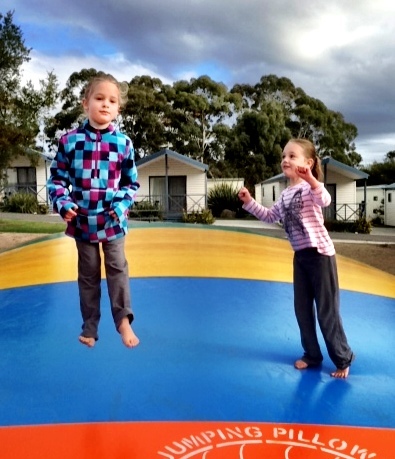 It seems this has become the kids paradise tour of Tasmania – which we are going to put an immediate stop to by going free camping after we check out on Wednesday. Of course it’s going to be a stark contrast after camping Disneyland but I’m sure the kids will cope – it’s a matter of the adults coping with the whining! 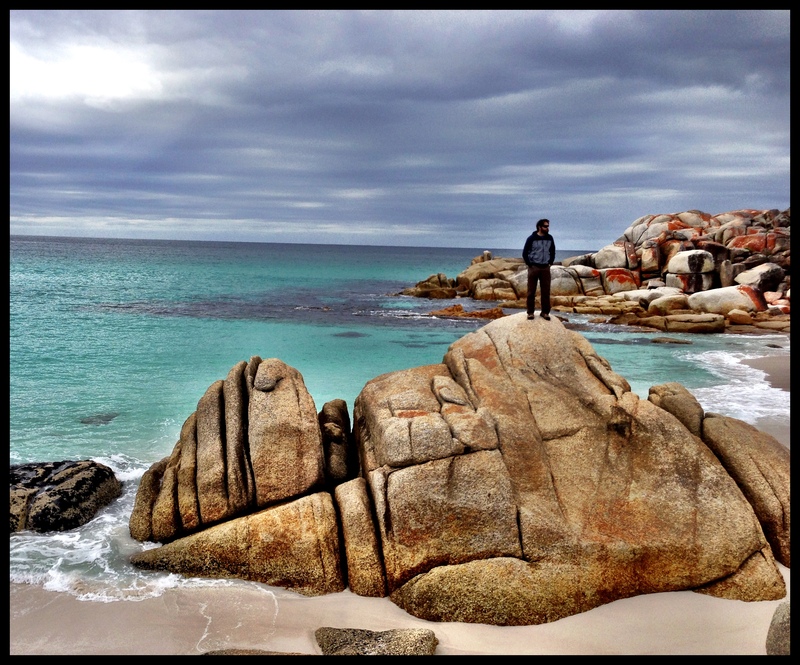 So in line with our aim of spoiling the kids fun we went and looked at all the spots the locals had recommended along the Bay of Fires for free camping. 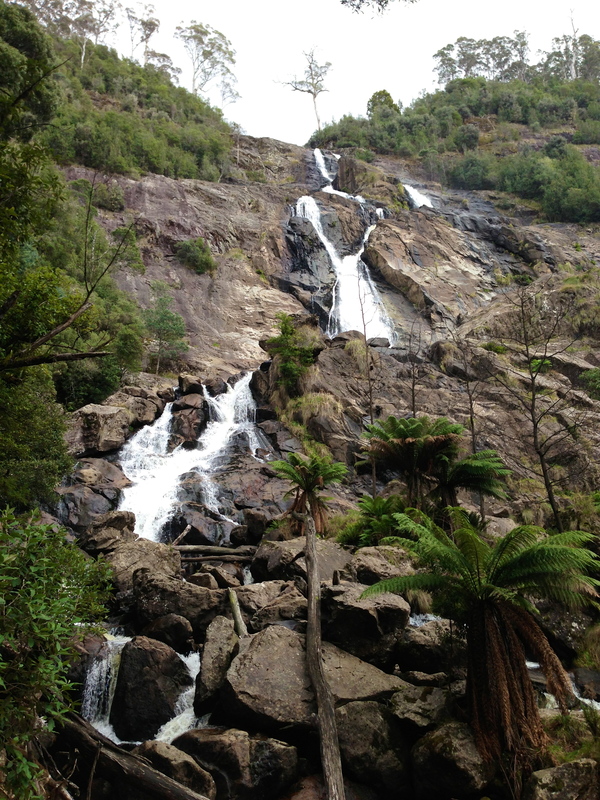 I may have also been a little reluctant, having been accustomed to power, running water and shower blocks (sigh) but as the photos will attest to, this place is the Tasmanian Whitsunday’s. 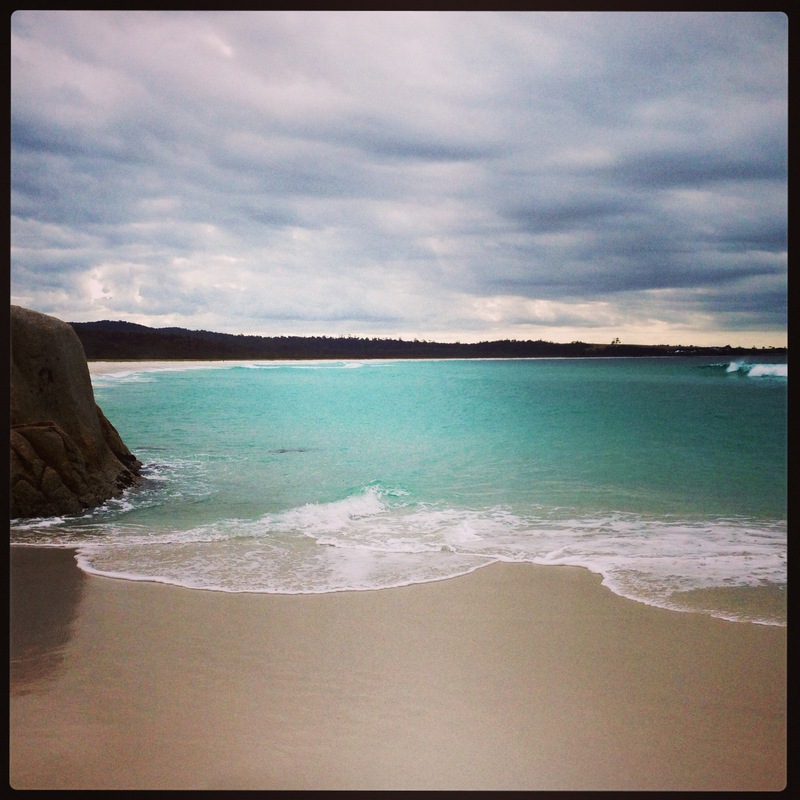 Before all the Queenslanders get their knickers in a twist I know it can’t compete with the water temperature but otherwise there is white sand, turquoise water and miles and miles and miles of beautiful beaches. 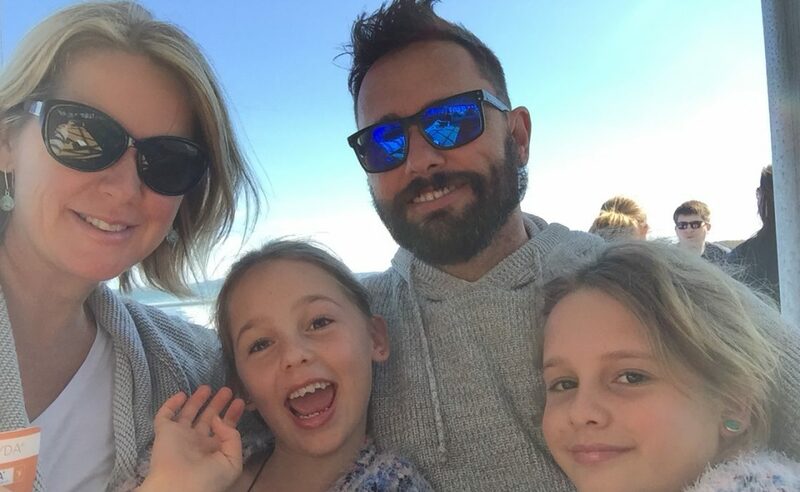 We are slowly luring the kids in with promises of night beach fires, toasted marshmallows and beach frisbee – plus hunting down every piece of detritus the ocean throws on the sand and declaring ‘treasure’ so it can stink out the camper. 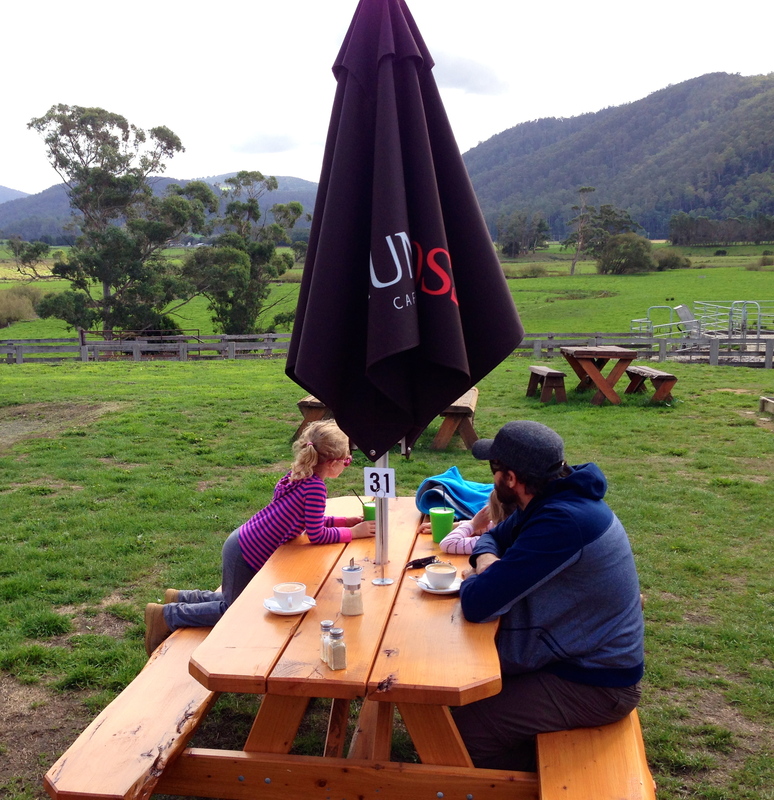 The other highlight of the day was visiting the Pyengana Dairy Company headquarters, set right in the middle of the lush green grazing fields with a mountainous backdrop where we also trekked to one of the highest water falls in Tassie. 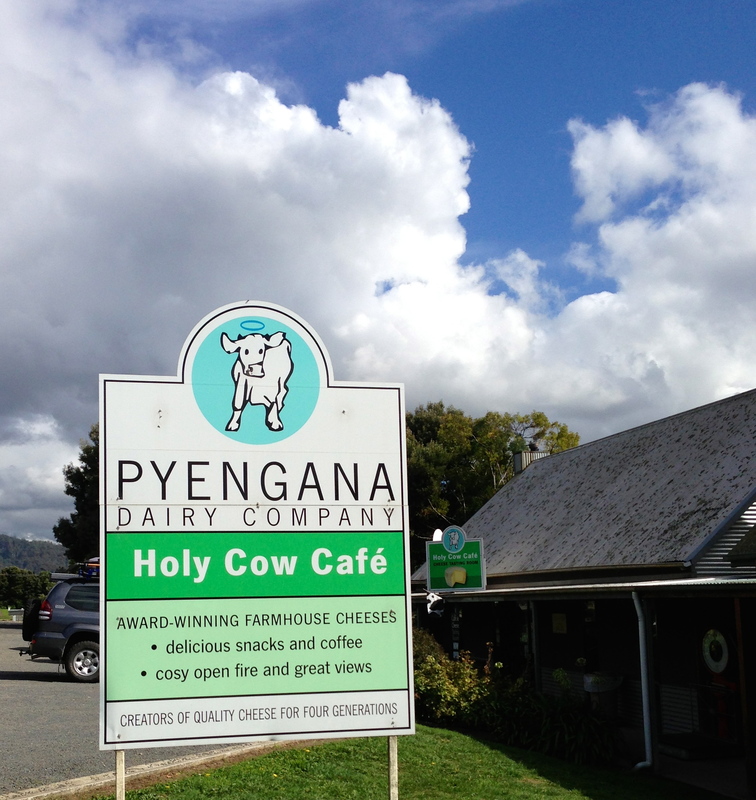 The “Holy Cow Cafe” offered tastings of their traditionally made cheese (to die for), home made ice-cream and milk that hadn’t been homogenised, leaving the thick layer of cream on top. This is almost impossible to obtain on the ‘mainland’ so I’m devastated about leaving the land of cream topped milk now. This was all topped off for the little people by seeing a real working dairy and lots of frolicking calves – although it made me realise what little city slickers we are raising when they became overly excited every time a cow ‘mooed’ and I had to explain what an udder was!! Yay!! Will try it on our way through 😉 see you guys in a few weeks! !